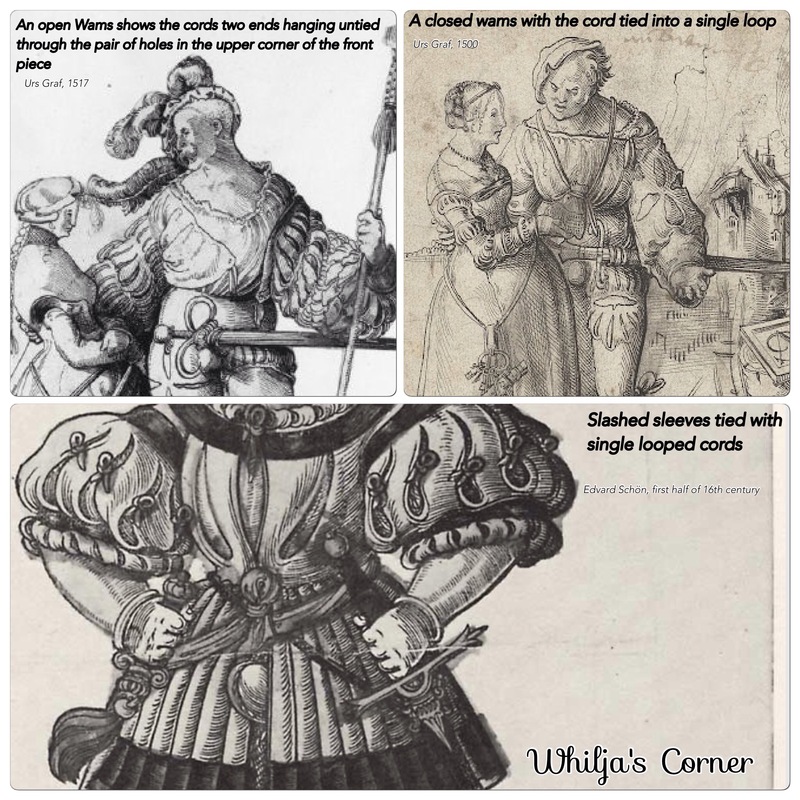 The picture above shows an intricate slashing of a wams, seen from behind, the sleeves has a very interesting shape with the same width from shoulder and down until it gathers around the wrist, creating an image of a pair of almost rectangular constructed sleeves. The late 16th c pattern from Germany (also translated to English by C. Köhler in A History of Costumes), seems like a perfect shape to use to achieve the same look as the woodcut, including a very easy base to cut the long slashes. 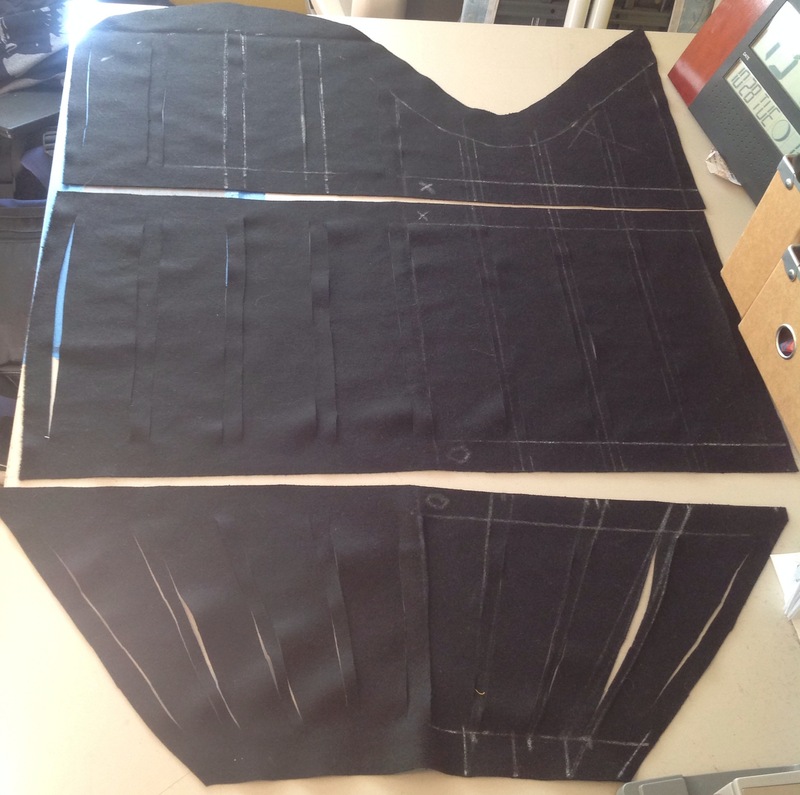 The even width of the slashes from shoulder to wrist is also a good inclination that the pattern is a good base to be used …and a picture of my re-calculation to fit my reproduction. 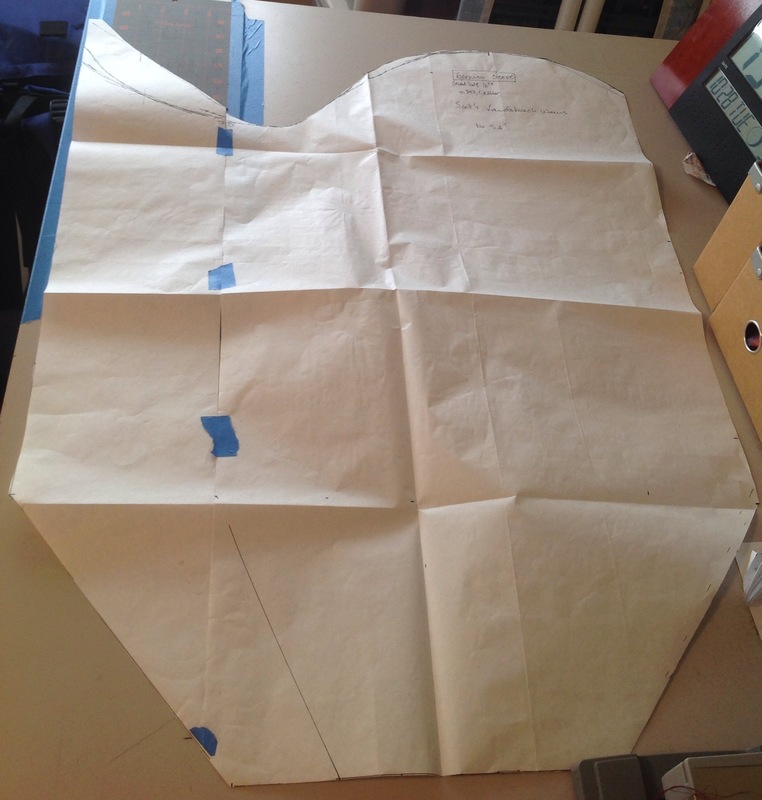 The adjustments from the original pattern transformed into a full sleeve pattern. 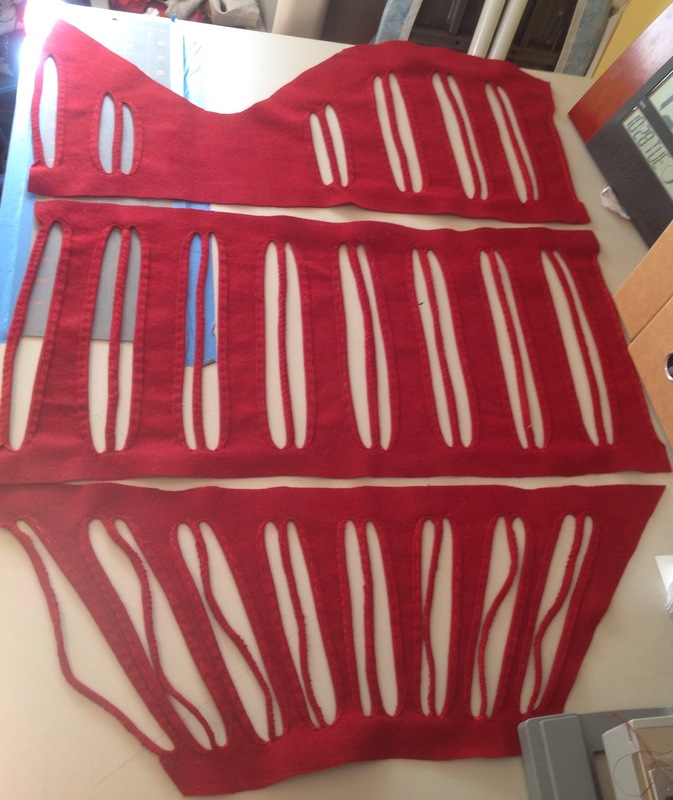 The fabric slashed in a similar pattern as the woodcut, including cutting it into three separate pieces. 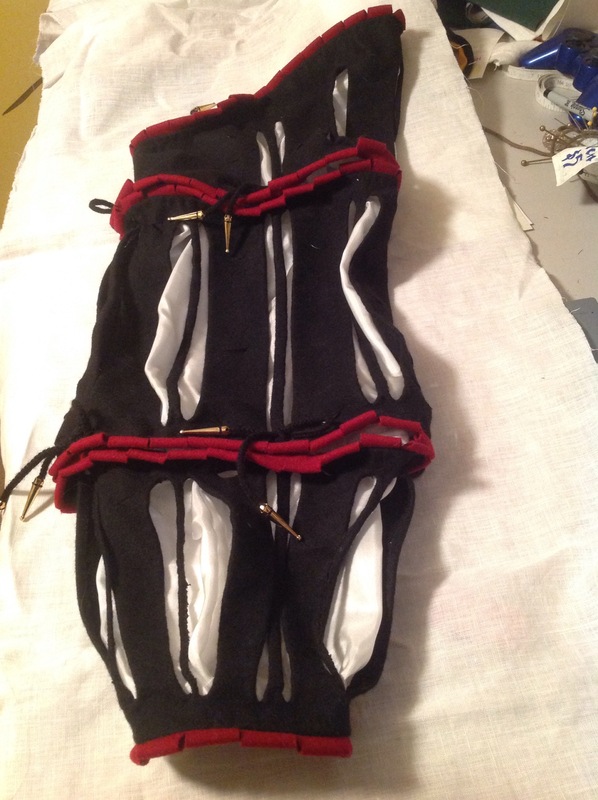 It’s hard to say exactly how many slashes the woodcut sleeve have, and I might have made a bit few, but I didn’t want to make the sleeve even larger until I get an idea how the pattern would work in real life; the sleeve still has to be both practical and elegant. 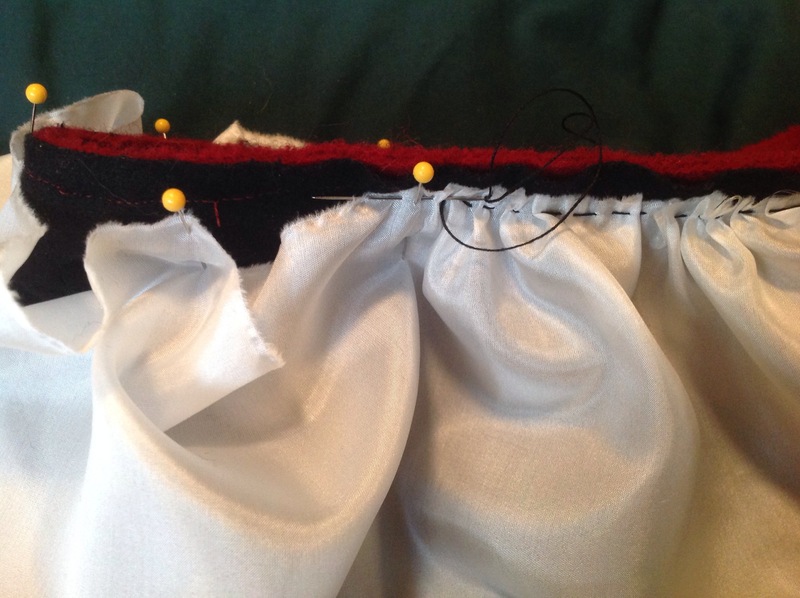 Each slash is then hemmed, which of course isn’t a must, but the wearer was very specific of having an extraordinary flamboyant outfit, so I hemmed all slashes to make it look as neat as possible. 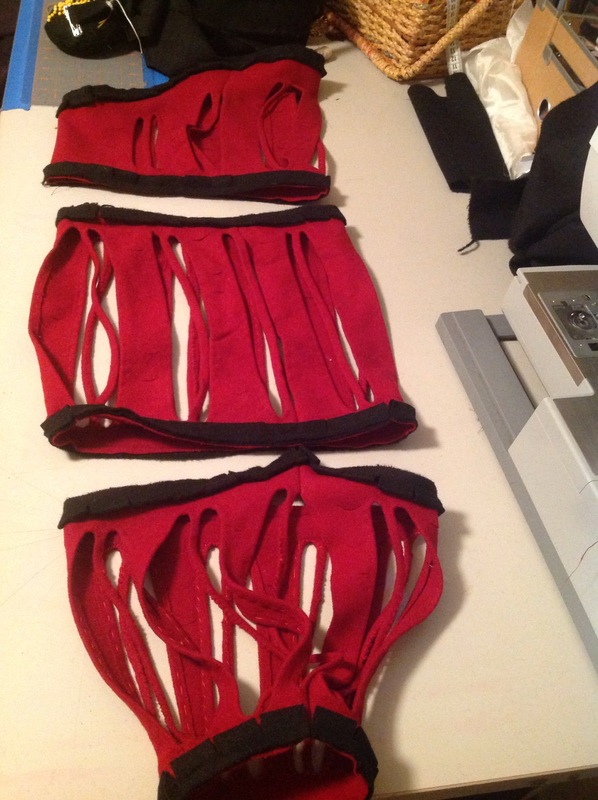 The hemming is done with simple running and wip stitches, and all pieces is then ironed flat. Next step is to use the fabulous pinking tool and punch the crescent shaped slashes. You can see on the woodcut that each sleeve piece has a slashed decor on the edge, which I simply make by ripping around 1″ wide fabric pieces, double fold them and then slash them an inch apart. 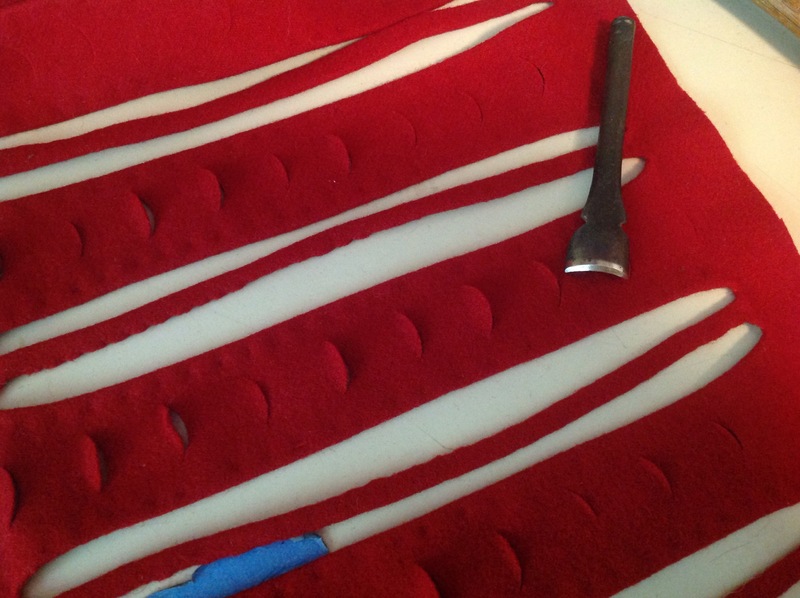 The job of hemming this small slashes is way to time consuming, so I leave them as they are. 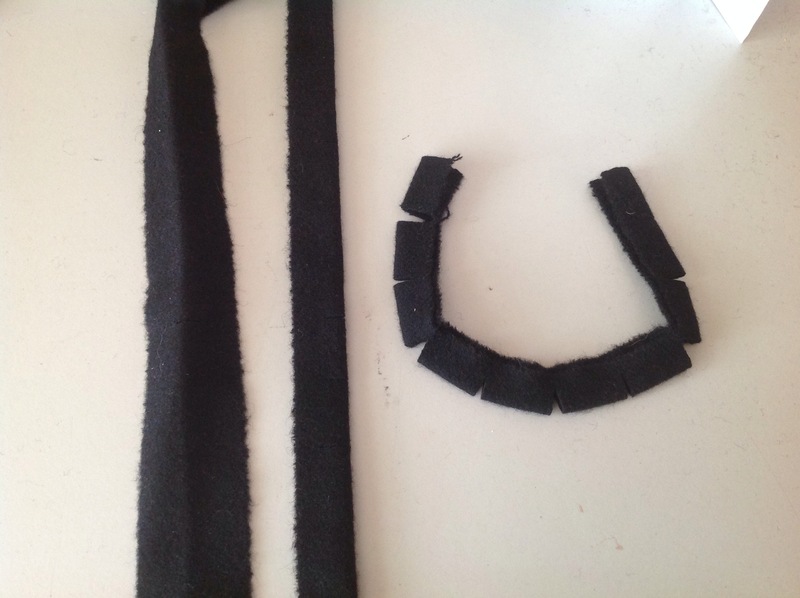 Tip; ripping wool is an easy way to get long and perfect straight pieces of fabric, just cut around half an inch and rip. The technique works perfectly fine with silk fabric as well. Silk is a very nice fabric to work with, it’s light weight and more dirt resistant then linen, and only slightly more expensive. Silk also wrinkles less then linen, and the light weight of the fabric can be gather into incredible small areas, with out adding any particular bulkyness. It’s not unlikely to assume silk was used for garment used by Landsknechts, but it’s probably more likely used by officers, high payed soldiers or high class associates rather then the ordinary foot soldier. Linen fabric was probably much more common, or maybe it’s just your undershirt that is seen through the slashes since you can’t afford no other expenses. 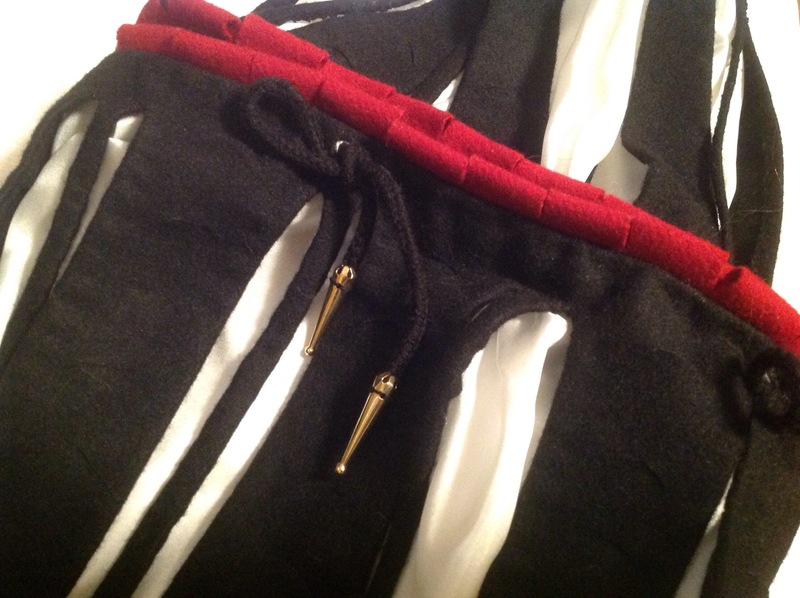 When I calculate how much puffing I need I use at least length x 1,5 for silk, it gives the puffing a basic nice symmetrical look, this sleeves got a little extra length to give them even more flamboyant look. 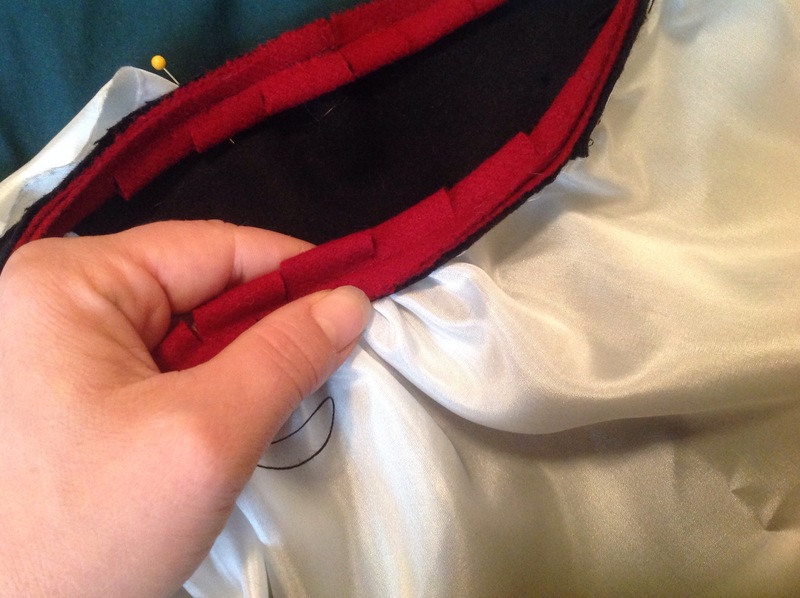 This sleeves is not to be lined, to keep them as cool as possible for the California summer by letting air in through the slashes, the silk is therefore sewed onto the sleeves close to the edge, the edges is then folded over and then just wipstitched, to preventing the silk fraying. 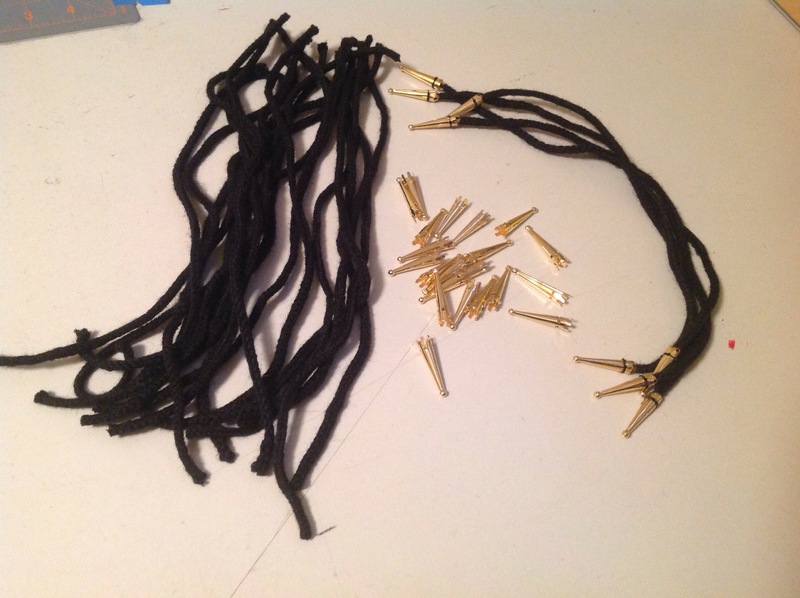 The pieces seems to be attached with cords, so each part is given four pair of holes on each side. 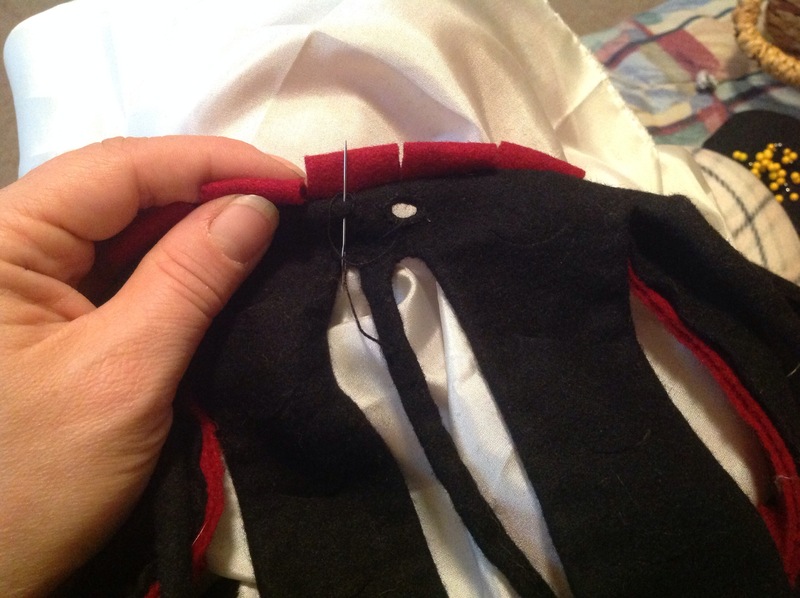 by making two holes next to each other, one cord is pulled through both holes on both pieces and can be easily tied on the same side of the fabric. On this specific woodcut, you can almost make out the loops holding the sleeve-pieces together. 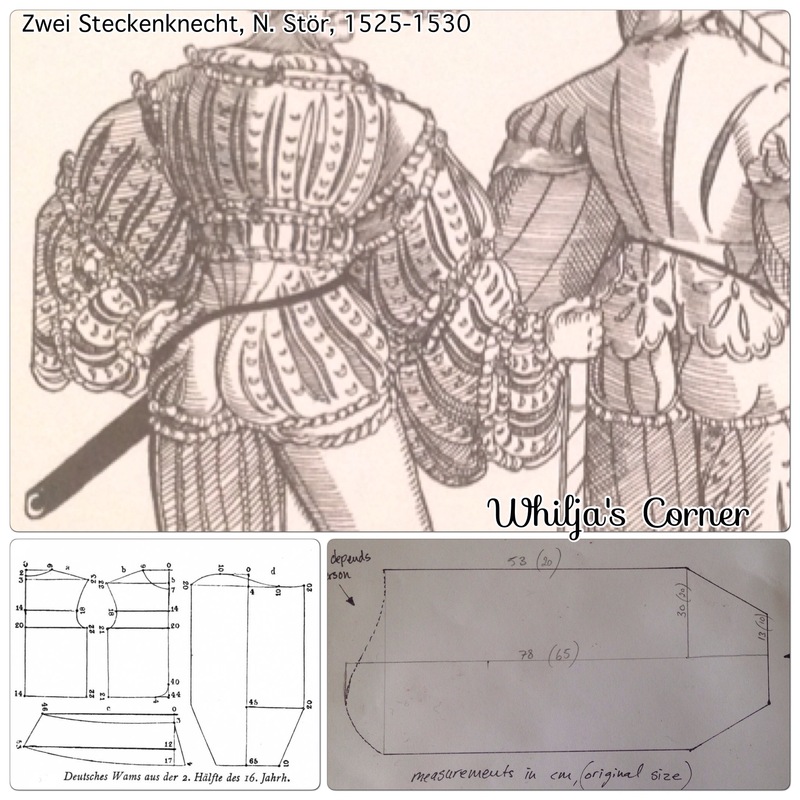 Even though Urs Graf mostly painted Swiss soldiers, the garment is similar enough to be used for construction studies and Graf’s level of details and everyday poses provides us with valuable as well as the simple fact that the German Landsknechts also was inspired by the Swiss Reisläufers. The single loop cord is of course also seen in other German garment as in Albrecht Von Brandeburgens’s elaborated garment. 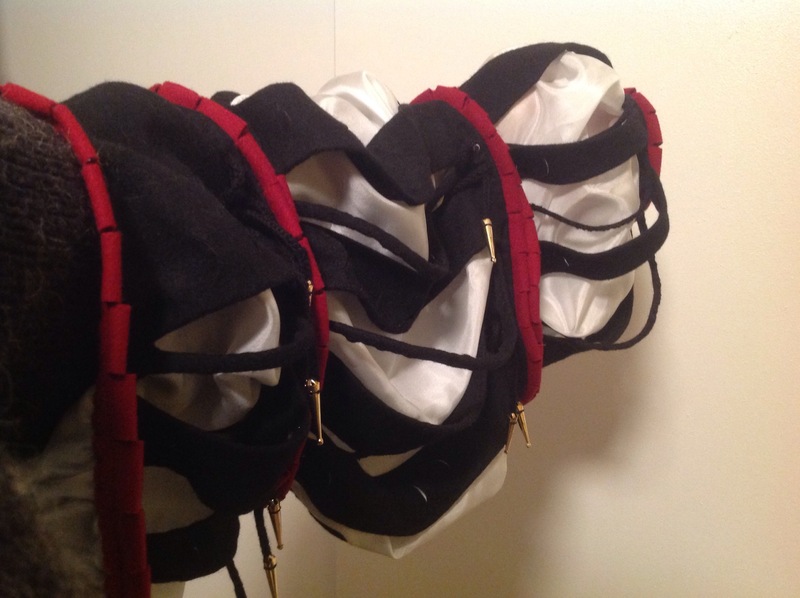 This entry was posted in Landsknecht, Sewing and tagged aiglets, Landsknecht, points, silk puff, slashing, Sleeve, wams. Beautiful work! Where do you buy your metal aiglets to put on your points?